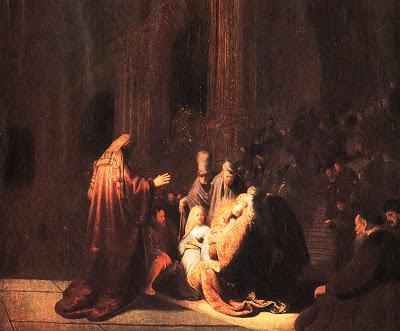 Anna & Simeon – Presentation of great suffering – He will redeem his people at great cost. The prophet tells the House of Israel and us two things: 1. The Lord is coming and 2. He is coming to the temple. 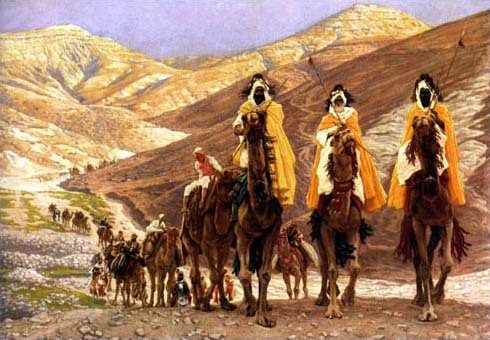 In the 1st Century the longing for Messiah was keenly felt in the era of Roman occupation. 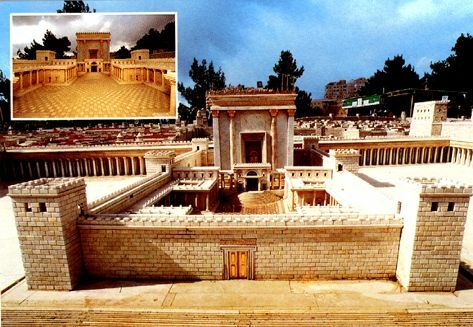 The temple of that period, the third temple was built by King Herod, the Roman puppet king. 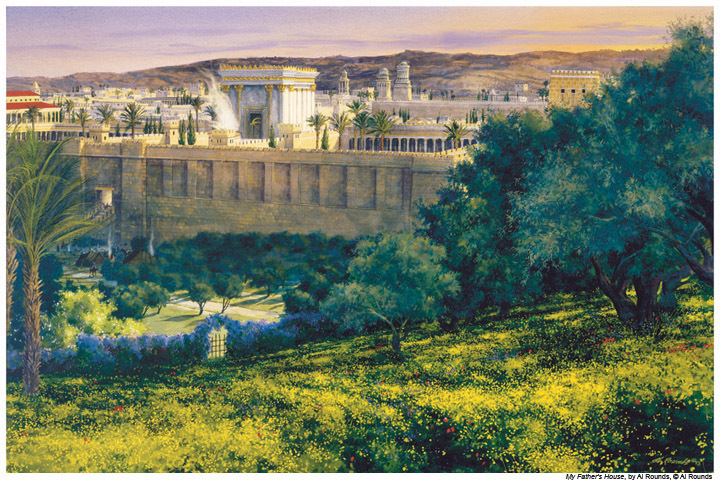 In 19 BC he began work on a new temple at Jerusalem. He did this to win favour with his subjects and to impress the Roman world with his splendid building. The main building was finished in ten years but work continued for the next fifty. The temple itself was covered with so much gold that it was a blinding sight in the bright sun. The temple platform was extended beyond the hill to enclose an area of 35 acres. I have read that 24 or so football fields would fit on that vast platform. It could be seen from outer space. At its southern end, it stood 100-150 feet above ground level. A covered cloister ran right around the outer courtyards. The Temple was laid out in concentric courtyards. The next court was the Court of the Women. This was as far women were allowed to go into the temple itself. It was here where Mary and Joseph stopped. Men could go further, into the court of Israel. The inner court was limited to priests only. 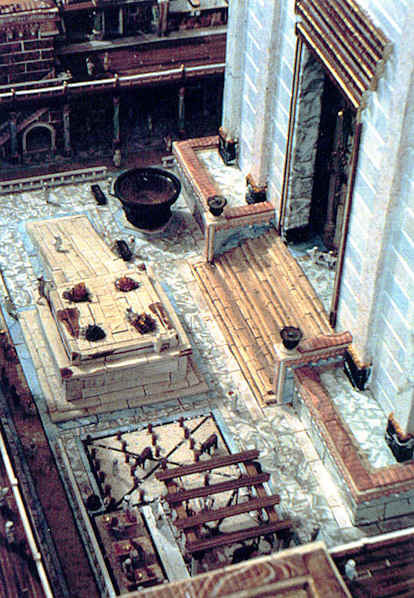 In the center of the complex was the Holy of Holies where only the High priest went once a year on the Day of Atonement. 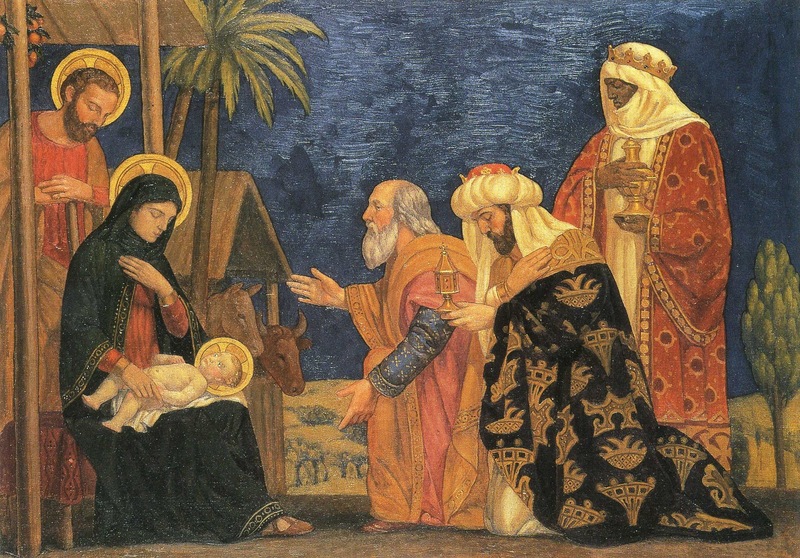 The point I want to make here about Mary and Joseph presenting Jesus in the Temple, is that it is nothing like anything we have ever seen. You may think this is sort of like a baptism since we tend to view the Scriptural setting as identical to our own. Not so, put that right out of your head. Going to the Temple was less like going to Church than going to the Fair! You bought your animal, got in line and when your time came you presented your beast to the priests. They killed the animal and it’s blood poured down a special drainage system designed to drain away the vast amounts of blood spilled every day. The outdoors altar was a slaughter assembly line with the Sun shining and the animals bellowing. Some of it was used for your family ritual meal, while the remaining parts were burned. It was a bloody, smoky, smelly place. Religious scholars were holding forth to their students in the porches around the courtyards. Going to the temple and going to church have little in common unless we open a stock yard at the Cathedral and hold graduate classes in theology and choir rehearsal at a continuous Pentecostal revival and barbecue! “ . 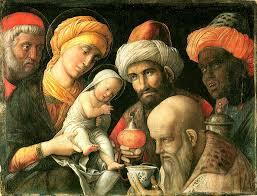 . . And the Lord you seek will suddenly come to His temple!” Certainly Simeon knew the words of the Malachi. And then it happened one day, not perhaps the way he had imagined but nevertheless it happened. 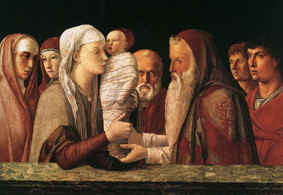 A couple came into the temple to make sacrifice, as required by the law, for their first-born son. Most families sacrificed a sheep or a calf. The law made provision for people of less means. They could get by with a pair of turtledoves or two young pigeons. The irony is that all the crowds that thronged the temple that day did not discern the presence of Messiah, the very one that they desired. They were so busy doing what was required that they missed the great day, when the Son of God had his coming out, presented to all the world and only two eccentrics whose eyes were fixed, looking for God, saw him. Anna, eighty-four years old, who lived in the temple and worshiping there fasting and praying day and night came in. She too recognized the child as the promised one, and began to tell the news to all who were looking for the redemption of Israel. 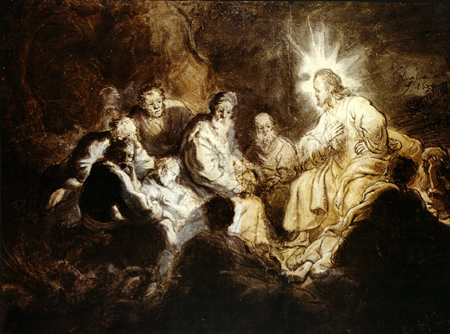 This Day is also called Pro Orantibus [For those who pray] These two old people, Simeon who prayed and dreamed, Anna who prayed and fasted may have been half blind with age but the eyes of their imagination were clearly and sharply focused. If Renewal Works has taught us anything it is that while everyone owes God One soul, the care and feeding of your soul cannot be delegated, hired out or left to force feeding by the clergy. It can however be neglected, starved and abused. RenewalWorks is a process we are using to get our imaginations in focus! How? We are reading some scripture from day to day or at least regularly; not enough we believe but more scripture than we have in the past. Anything worth doing is worth doing poorly! It doesn’t take much Bible to affect us! Embedding our lives in Scripture focuses our imagination! In the breaking of bread: To discern the presence of our Lord in the bread and wine. We believe that in this place we encounter the risen Jesus in bread and wine just as he promised. If this is true do you see it is the most important thing we do all week! In our own inner life I believe that God is speaking to us constantly in our prayers, dreams, visions, and hunches. But we are to busy doing our daily sacrifices of time, talent and ambition to even notice. It is only when we are willing to slow down and focus our imaginations that we can trust our eyes. In each other: God often seems to speak to me through the people in my life. 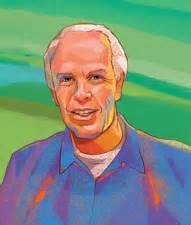 Parker Palmer once wrote that, “Community is that place where the person you cannot stand always live.” It takes a work of imagination to see that we are all gifts of God to each other, especially those who irritate and scare us the most. I ask you to take better care of your souls. Please call on us. The clergy are not paid to be Christians for you. The clergy are here as player-coaches. We are in ministry of equipped and coaches ministers. Please, Please, by the mercies of God come and join in this movement. In our baptism we are given the gift of the Spirit, who penetrates history and existence in order to focus our imaginations will come into focus. 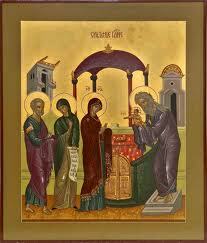 With clear eyes it is easy to discern the Holy One in us, between us and to holy hands for the care those in need. I’m having a hard time shutting up tonight as I write in late evening in York, UK. I’m sad and happy at the passing of Robert Farrar Capon. I’m sad because the world is a little darker for his passing and I’m happy because he now experiences the reality that is God moving beyond his intuitions of the mystery that moved multitudes to smile and weep as they smiled at the beauty of his light touch of the glory to be reveled. 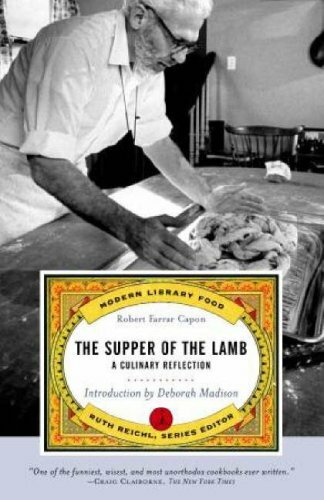 One of his great works was a cookbook, a theological reflection. In wonderful work of graceful whimsy is a toast that is a blessing as the great toasts always are. But the man can speak for himself. “I wish you well. May your table be graced with lovely women and good men. May you drink well enough to drown the envy of youth in the satisfactions of maturity. May your men wear their weight with pride, secure in the knowledge that they have at last become considerable. May they rejoice that they will never again be taken for callow, black-haired boys. And your women? Ah! Women are like cheese strudels. When first baked, they are crisp and fresh on the outside, but the filling is unsettled and indigestible; in age, the crust may not be so lovely, but the filling comes at last into its own. May you relish them indeed. May we all sit long enough for reserve to give way to ribaldry and for gallantry to grow upon us. May there be singing at our table before the night is done, and old, broad jokes to fling at the stars and tell them we are men. 30 Jesus replied, “A man was going down from Jerusalem to Jericho , and fell into the hands of robbers, who stripped him, beat him, and went away, leaving him half dead. 31 Now by chance a priest was going down that road; and when he saw him, he passed by on the other side. 32 So likewise a Levite, when he came to the place and saw him, passed by on the other side. 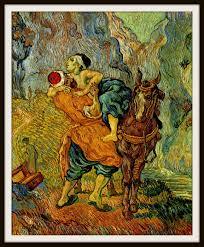 33 But a Samaritan while traveling came near him; and when he saw him, he was moved with pity. 34 He went to him and bandaged his wounds , having poured oil and wine on them . Then he put him on his own animal, brought him to an inn, and took care of him. 35 The next day he took out two denarii, gave them to the innkeeper, and said, ‘Take care of him; and when I come back, I will repay you whatever more you spend.’ NRSV Bible with the Apocrypha, Harper Collins, Inc.. Kindle Edition. Good place to start to jump-start your soul! A Lawyer got up to test Jesus. It doesn’t say the attorney is hostile; perhaps it is simply playing to test his reflexes and wit against Jesus. He begins with a discussion on salvation. Who is saved and how do we get to be one of them? What do I do to inherit eternal life? What must I do to share in the resurrection of the righteous at the end of time? How can I be sure I am in the will among the beneficiaries? Jesus as usual doesn’t answer the question but asks one. What is written in the law? The Lawyer is quoted whenever Christians gather for Eucharist Rite I: Hear what our Lord Jesus Christ saith: Thou shalt love the Lord thy God with all thy heart, and with all thy soul, and with all thy mind. This is the first and great commandment. And the second is like unto it: Thou shalt love thy neighbor as thyself. On these two commandments hang all the Law and the Prophets. 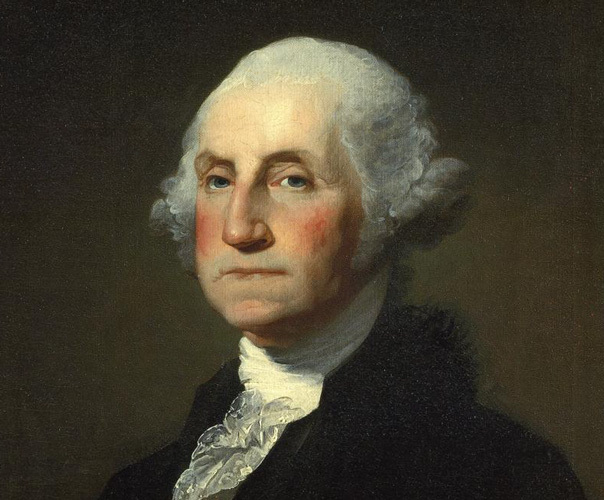 A rebuttable presumption arises that a person (henceforth to be known as the party of the first part) is one’s neighbor (henceforth to be known as the party of the second part) when the purported party of the second part’s real property boundary is adjacent to or contiguous with the party of first part’s real property boundary, provided, however, the two interested parties 1) received respective ownership interests in the real property in question in accord with Judean Code Ann. § 66-5-103; and, 2) inhabit the respective parcels of real property as defined by the Court of the Sanhedrin in Samuel ben Hur v. Benjamin ben Abram 309 S.W.2d 403. 2,600 feet about sea-level to 825 feet below sea-level over a twisting route 17 miles long, rocky desert surrounded by caves and famous for robbers and terrorists long before the first century. He is robbed, stripped, and beaten – left for dead or half-dead. Having set this scene of desperate need with tragic consequences, Jesus now sets about rescuing the man. Who will help? As almost always in human stories there are three candidates (as always in human stories). By chance (this is hopeful – help is just around the corner) and who comes into view? 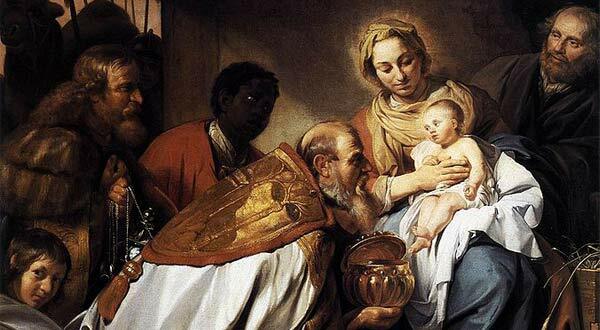 A PRIEST – God’s servant who ministers in Gods’ temple and represents the height of piety. His hearers are hopeful. (I want to be hopeful for my profession, but have already read the punch-line so I hold my peace). What will he do? He sees the man and “passes by on the other side of the road” = the word is “anti” – against or opposite – There is no help to found here!!!! Why? We don’t know but the point is not WHY he didn’t help but that he DIDN’T HELP. So the priest scooted on down the road. WE HEAR THE SOUNDS OF A SECOND TRAVELER. A second religious leader – a Levite : Choirmaster Organist as it were. Likewise he passes in opposition to helping the victim on the shoulder of the road. Again why is not important so much as the fact that now 2 religious leaders have flunked the test of their own faith. NOW NUMBER 3 IS HEARD IN THE DISTANCE, THE CLOPPING SOUND OF A MULE. Pays for care and will cover any further costs. Jesus, “Who was his neighbor?” Notice how the lawyer replies, “The ONE (won’t even say Samaritan) that had mercy on him. Go and do likewise! One should not seek to narrowly define who is a neighbor so as to limit one’s responsibility. The object is not to see what can be avoided, but to render aid when it can be readily supplied. That was them there and then. What about us here and now? Thirty years ago the Episcopal Church’s standard on priestly formation was called “Minimum competency” – the least you could get by with. It was a joke among us as it seems (is) contradictory to the Good News of God in Christ. Shouldn’t our standards be a little higher than that. Salvation is a gift! However, salvation is a gift that must be accepted. Finally, it is something you do. What we need is not Orthodoxy (Right Belief) but Orthopraxy (Right Practice). Episcopal Spiritual Life Renewal Process is about this very thing! This fall begins the Year of the Bible Challenge here at Saint John’s. We will read the Bible from Cover to Cover in a year. We will provide lots of resources to make this task possible. It can be done. I learned at my father’s funeral that he was half-way reading through the Bible for the 25th time when he died. Bibles will be in the pews. What we need from each other is the one thing nobody can do for us: the decision and discipline to do this very thing. Ignorance of the Bible is no longer acceptable here. Not minimum competency – maximum commitment, maximum practice, maximum self feeding – when we do this, grace is ours for the having. Tomorrow marks 10 years for me as your rector. Thank you for the multitude of your kindnesses to Marilyn and me these past 11 years. As you know, I will be on vacation in August, and then on sabbatical from September 1st until December 1st The day after Labor Day, I plan to travel to Great Britain and stay in York and environs until mid-October. I will keep a blog during this time. I ask that you pray for me as I will for you as I take this time to reflect, travel, rest, and write. In the New Year we will continue our adventure. I couldn’t ask for better companions for the way.